You're just ten seconds away from a brighter, more centered, supremely fabulous you! No matter what challenges life throws at you-from relationship roadblocks to everyday stressors to unexpected forks in your path-happiness guru Karen Salmansohn is here with colorful "thought interventions" to teach your old brain some new tricks. 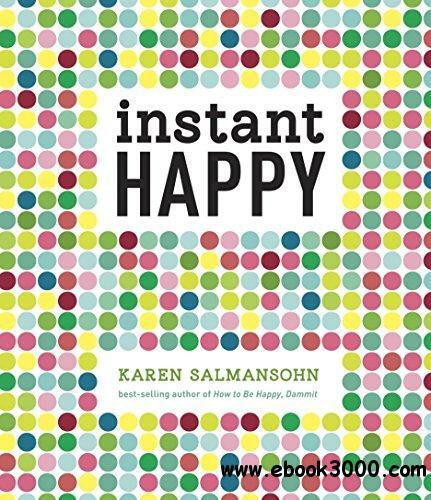 With witty sayings, inspiring philosophies, colorful graphics, and a dose of cheeky tough love, Instant Happy is the perfect inspirational self-help book for people who don't have the time or patience for self-help books.